A list of what I’ve mostly been playing this week from the land of retro, indie and older PC gaming. It’s doesn’t include every title I’ve been playing, just a handful of those that have been enjoyed that week. 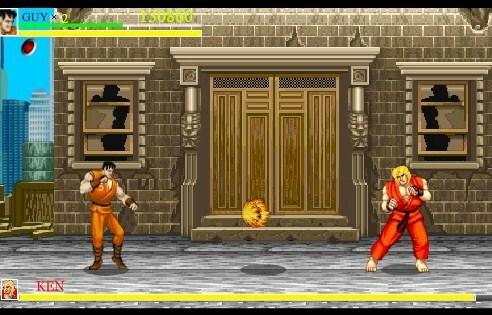 Pure nostalgia this one – When I think back to early arcade gaming the first game that springs to mind is Phoenix. Back in the day, it was pretty common to see an upright or cocktail cab in the corners of cafes, student clubs and chip shops. The one I remember the most was in a greasy spoon cafe not too far away from the school yard. It was an upright Centuri cab complete with that terrible faux wood paneling, but despite is looking awful, was incredibly popular during lunch (and unofficial) break. Being the only game in the cafe, the unspoken rule was one credit if there was a queue behind you and owner of the cafe would jot down the scores and would offer free lunch to the highest monthly score. 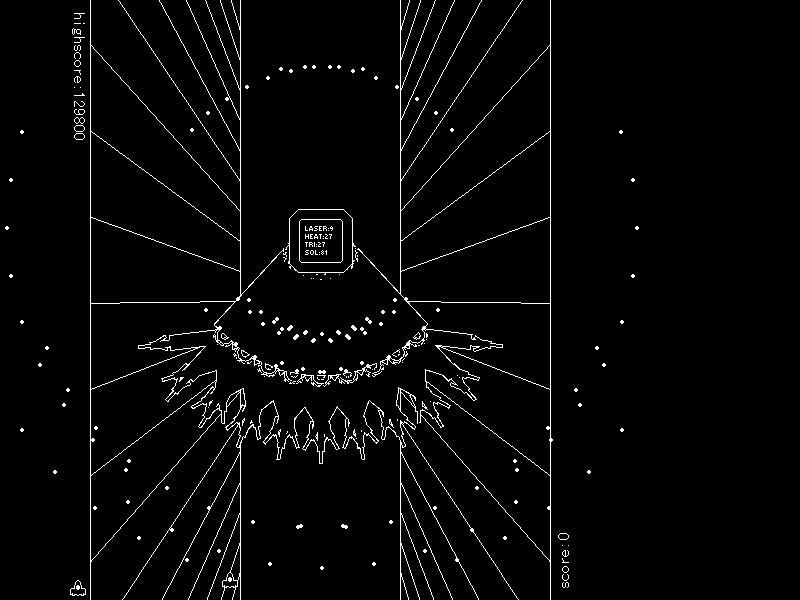 I’ve only got to hear ‘Romance de Amor’ and I can picture the starfield scrolling down ready for the first wave of attacking birds and then onto the button bashing finale as you punch a hole through the orange defence shield of momma bird – surely a good test of a new arcade build. I play Pheonix and I’m transported back to that cafe on a Friday lunchtime happy in knowledge that the weekend was just around the corner. Bacon sandwich anyone? Here’s the second classic shooter i’ve been playing a lot of this week, and another that I used to drop so many pocket money coins into. As with Phoenix, the aim is to blast away at everything whilst trying not to get hit yourself. There’s no boss stage with Moon Cresta but after clearing a few stages, you get the chance to upgrade your ships single laser gun by docking with another craft. Sadly the trade off is that your ship is now much bigger therefore so watch that incoming fire! I may have lost ship one, but two and three docked together makes for one mighty ship. 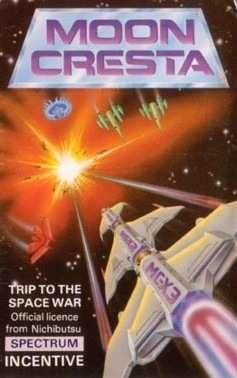 Moon Cresta is also one handful of games that I could recognise straight away by just one sound effect, the laser fire FX is so memorable! 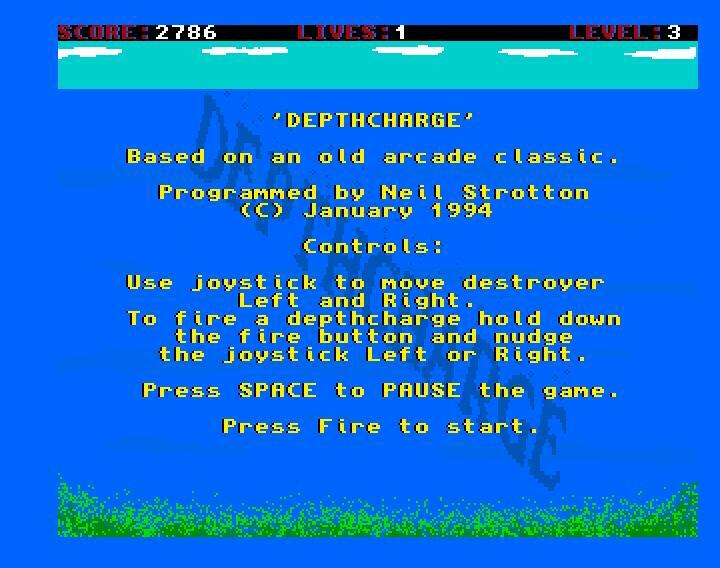 Incidentally, if you fancy looking at some of home computer conversions, the ZX Spectrum version is almost arcade perfect in gameplay. Sadly the sound effects are a bit feeble. Moon Buggy was ported to many systems including countless clones and I’ve probably played more versions of this game than I can remember – Some are great and many are really poor. The Plus/4 – Commodore 16 version by Anirog is extremely playable though and a faithful conversion of the arcade classic. The difficulty curve, I think, is just right, starting off nice n easy and then gently increasing and rewards those who dare jump early or late. 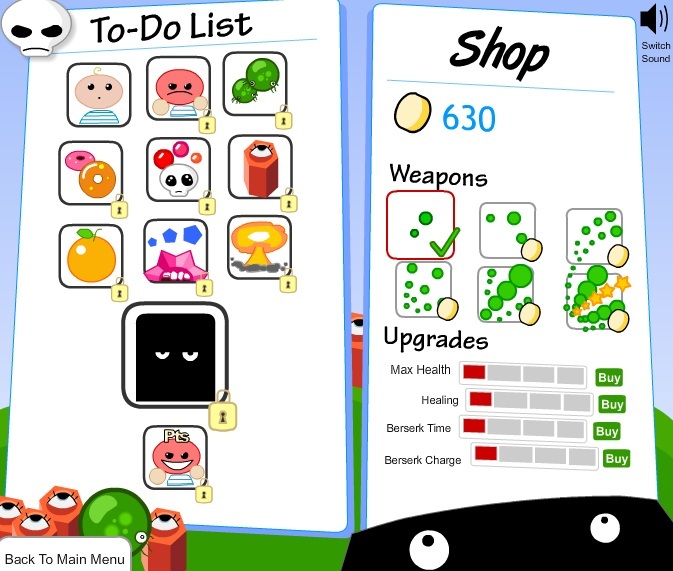 The aim off the game is to patrol the the surface of the moon and destroy all invaders you encounter. You moon buggy is equipped with forward facing and surface to air guns as well as jump jets to propel yourself over the many craters and rocks you’ll encounter along the way. Timing your shots, speed and jump jets is critical to completing a stage as well as keeping an eye on the ground and in the air….yep, lots to do! 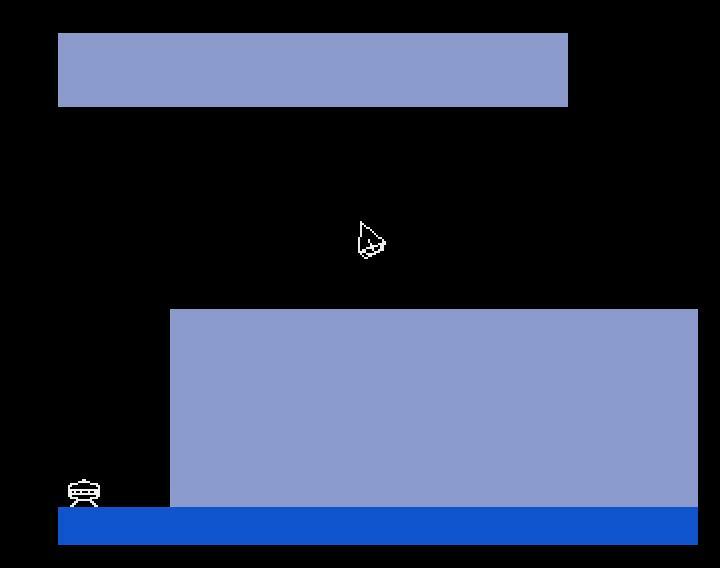 Graphically it looks rather nice too with just a hint of parallax scrolling on the background and although your buggy is a simply drawn, this version does have the signature wheel explosions if you happen to fall foul of any lunar obstacles. I think the only critisim i have is the high pitched sound FX of the enemy can sometimes become tiresome but apart from that, top notch 1/6th gravity fun. 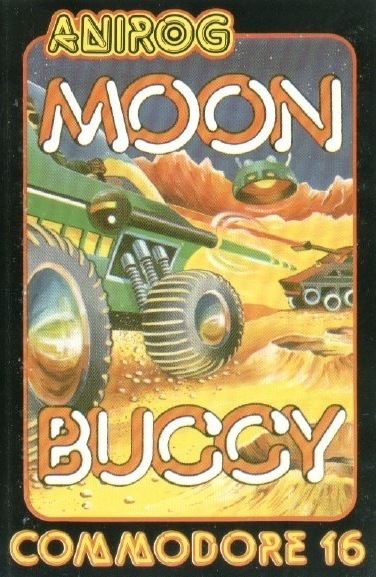 Anirog have produced some great game covers, Moon Buggy is certainly one of them. Another Plus/4 game I’ve been playing is one that was only released a few years ago..you’ve gotta love the retro gaming community! It’s one of those games that you’re either going to love or loath due to its necessity on the pixel perfect jump…or leap into the unknown. 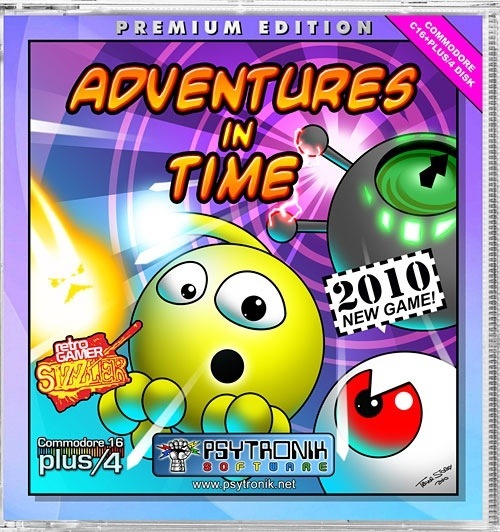 Give it time though and once you start to learn the layout of a few screens and the enemy patterns Adventures in Time certainly starts to grow on you and for a Plus/4 game, it looks incredible good too and has some of the best music i’ve heard coming from the TED. 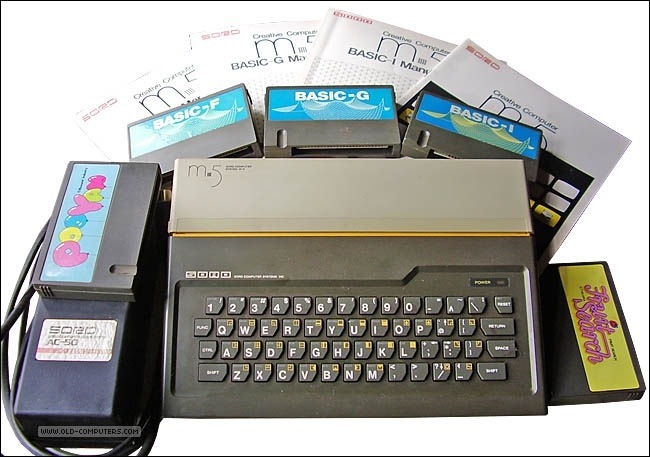 I was first introduced to this last year at a Retro Event in Derby by Chris http://www.commodore16.com/ Snowdon (here’s hoping there’s going to be another one) and have been meaning to sit down with this again whenever I had the Plus/4 setup again. A great game which all C16/plus4 owners should try. On to another game that’s starting to grow on me despite a fustrating start. There’s been a raft of new games released over at World of Spectrum and this one from a few weeks ago. 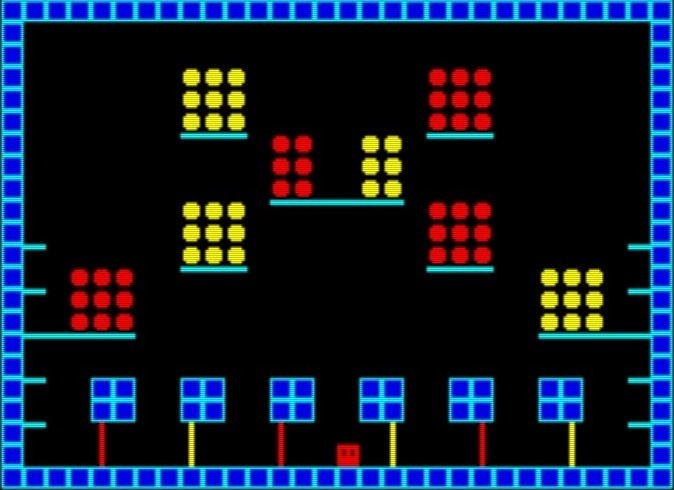 It’s a remake of an indie Xbox game and all you have to do is run/jump your block around the level collecting the coloured blocks before the timer runs out. Sounds easy right? Well, you can only collect a coloured block that matches your own colour. Failure to do so will result in a time penalty and as time is very short, you don’t want to be doing that very often. To change your blocks colour, you need to pass through one of portals dotted around the screen. 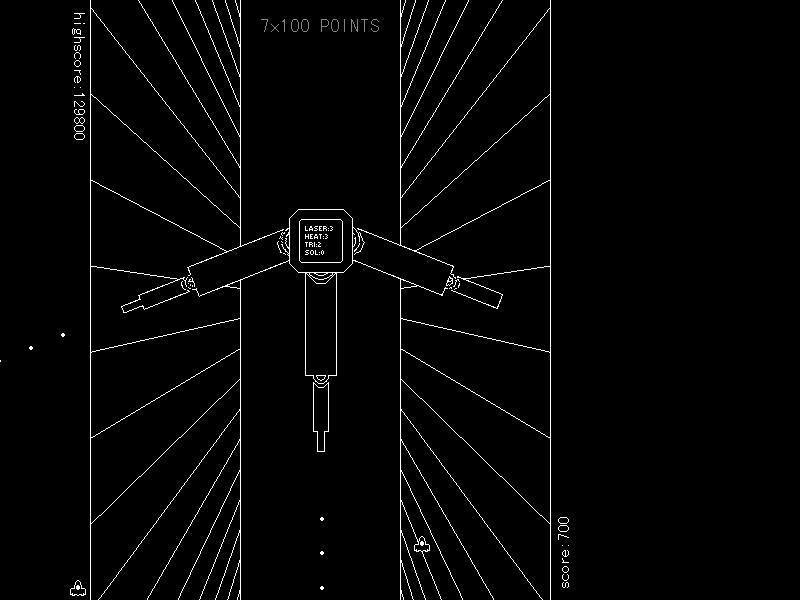 The trick to completing the level is to figure out the least timing consuming route and not to spend too much time running around haphazard. I was reading a review of a this particular game in this months edition of Retro Gamingtimes Monthly and thought i’d revisit on a the system I’d first played it on. 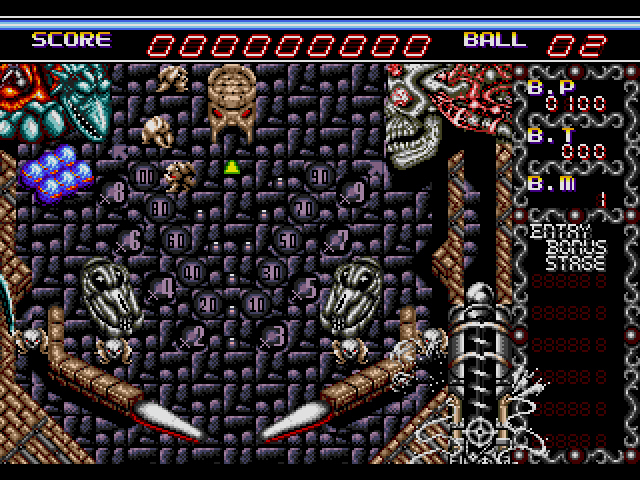 Pooyan is one of those games that i’ve heard about for many years but have not actually played it. Last year I was at one of the the Retro Computer Museum events and sat down to a system likewise that really didn’t know too much about either. Said system was the Sord M5 and it so happened to have a Pooyan cartridge loaded. Suffice to say, I really enjoyed it and have since sourced a copy for my NES…..no chance of owning a Sord M5 myself though as they appear to be quite the collectable and demand a hefty price. Momma Bear in basket, fires arrows at balloonist wolves……huh? Last weekend I was shifting, sorting and dusting down a few older computers, consoles and games and had started to amass a collection tapes, discs and cartridges on my ‘to play’ pile. Here’s a few that’s been fun to play this week. First up, is a Megadrive conversion of an arcade game that was a sequel to a huge favourite of mine -phew! 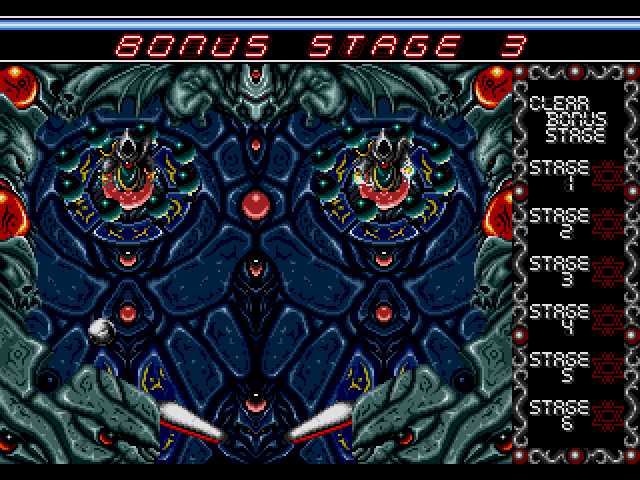 Rolling Thunder 2 – Sega Megadrive (1991). RT2 Japanese cover as my European cover is just. quite frankly, awful! 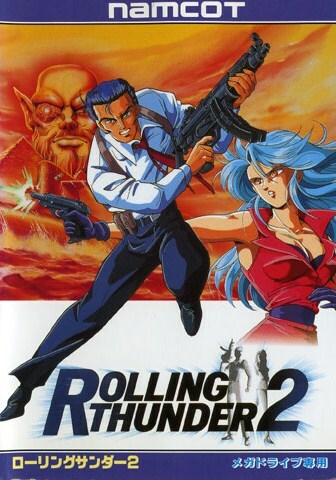 The first time I played Rolling Thunder 2 (and Rolling Thunder 3 on the MD) I thought, meh…it’s not a patch on the original and it wasn’t long before it was shelved. Playing it again this week and after a few sessions on the original courtesy of Mame and am starting to warm to it a little more. It’s still an average run and gun type game, but it does look very nice and still contains elements of the original game mechanics like the make or break jump from lower to upper platform (or vice versa), the limited gun ammo, the high difficulty and those frantic moments were you just make it out alive. 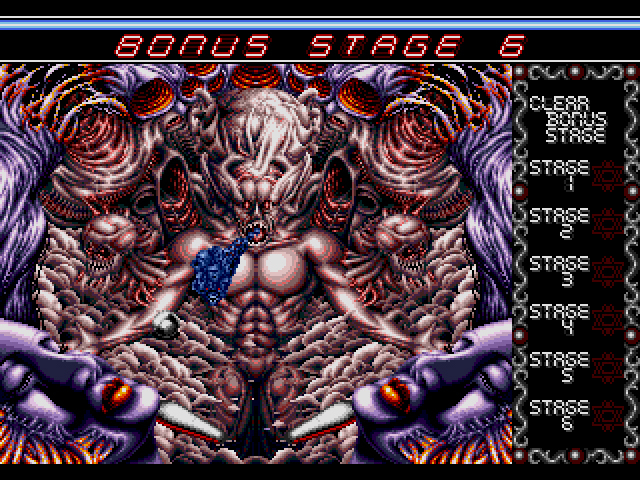 The Megadrive version adds a few extra anime style cut scenes and a few extra levels compared to the arcade version. It certainly is a nicely polished game. So, it appears that the Geldra organisation is up to no good again and decided to take out earth’s orbiting satellites. As agent Albatross (or additional agent Liela is you wish) of Special Task Force – Rolling Thunder, it’s up to you to track him down and give him what for. To Miami Airport it is then! The original Rolling Thunder arcade game was said to have been set around the 1960’s but it appears that the sequel is quite a few years into the future judging by some of the visuals. Forget the mission, I want to drive this truck! I’ve been running, jumping and shooting my way through this game all week but I can still only reach level 3. Thankfully there’s a handy password system so at least I don’t have to restart from the beginning again, and with any luck will make it to the end of the game soon wipe the smile off his greenish himself. Now for something less challenging! Less challenging? Contra is certainly not. 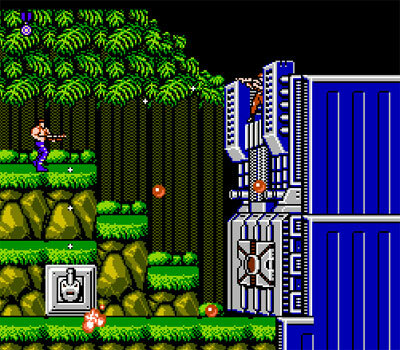 I’ve always wanted to get into Contra but could never really got very far past the first level. Being an essential NES game I was eager to seek out this for my collection many moons ago, but on playing it,it was quickly boxed and has rarely comes out these days. 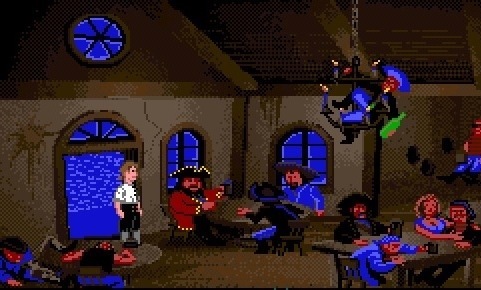 Hunchback, a real classic on any platform, be it the C64, BBC Micro, Amstrad, Speccy or even Oric-1, it’s a great game and thirty years on I’m still playing it. 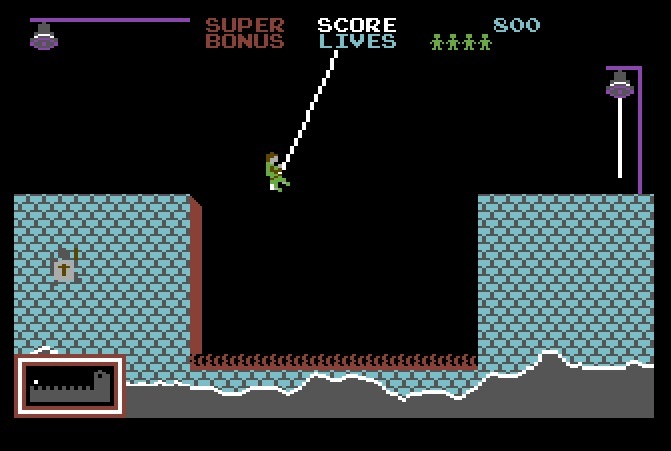 Move over Pitfall Harry, it’s Quazzy’s turn. Run from left to right jumping and swinging your way to the bells and on to rescuing said damsel in distress (alleged). Don’t hang about for too long though as there’s a Knight on your tail who after the side order of hunch rump…..ew! One of the fifteen odd screens you’ll encounter. This one is an easy one , jump over the guards at the right moment or feel the pointy end up your tights. 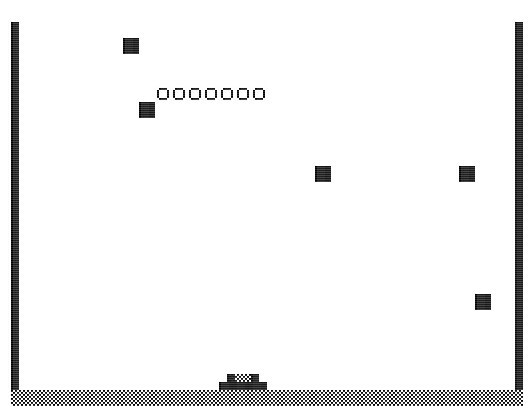 Later on this level is repeated often but adds flaming cannon balls and arrows to the mix. …and if you want something a little more modern, how about this remake? Are those guards from an Asterix game? This next one isn’t a game of sorts but bags of fun for Lego fans, old and new. 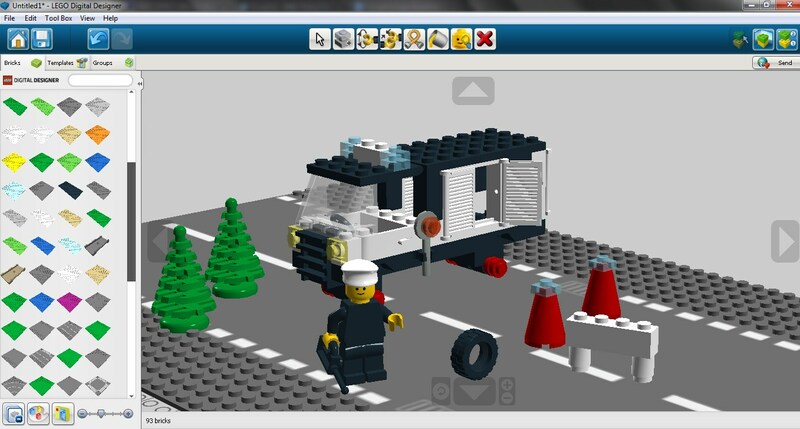 Once you’ve downloaded and installed the software (Mac/Windows/PowerPC) you can then use the simple editor to build virtual Lego models just like you used to do as a kid. There’s 100’s of bricks to choose from in all manner of o colours and sizes including many from the classic Lego era. 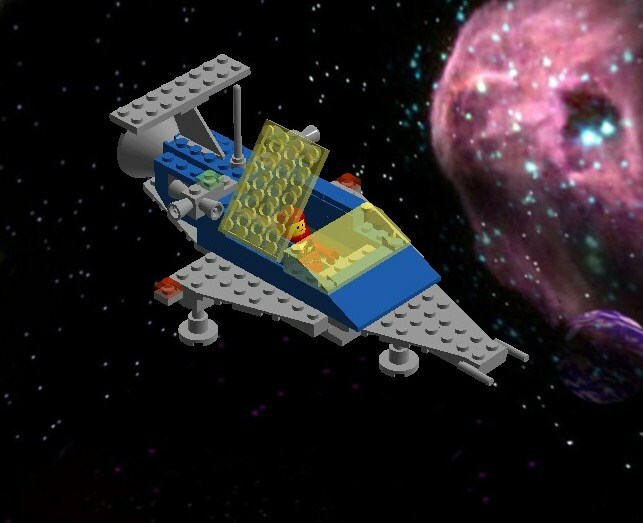 But that’s not half the fun, having spent a few minutes browsing around the forums, it appears that there’s a whole community based around recreating many of the classic Lego models. I found many old favourites that you can import into the application or build using digital scans from the original model instructions. It was my birthday yesterday and quite fitting to find the model below, which was a birthday gift from a late aunt I received so many many years ago. I remember this model being so cool for many reasons. 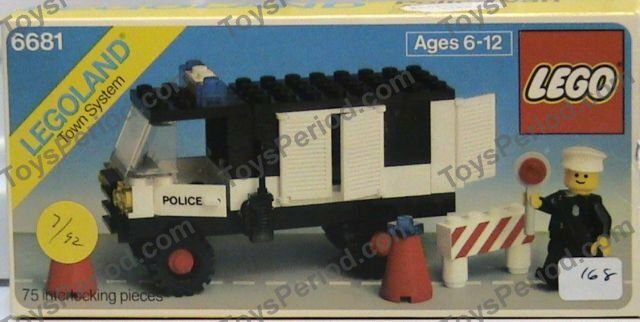 Firstly, all Police sets were cool, secondly, it had many moving doors including a hinged cockpit roof. Thirdly, this was one of the first models to have those uber-cool Police walkie talkies and finally, look at those large off road tyres…you can imaging how many other vehicles I created used these. ..and here’s the virtual model…just trying to figure out the correct tyres. You can also place a model in a 3D environment allowing you to pan and zoom around at leisure. 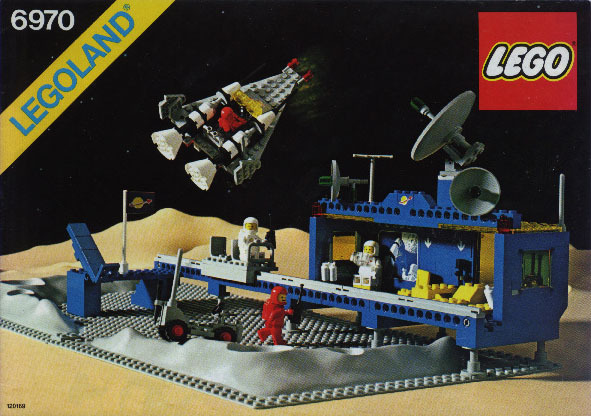 Here’s another of the vintage space sets that I had back in the day. It’s missing a few details but oh does this bring back memories! It’s not as impressive as it’s bigger brother with the opening cargo bay/lunar buggy but believe me, this Space Transport did some mileage. The hinge tool can be used to manipulate the two hinge bricks, so for example on this model, I can raise the cockpit roof..Good job, the pilot had his helmet on. 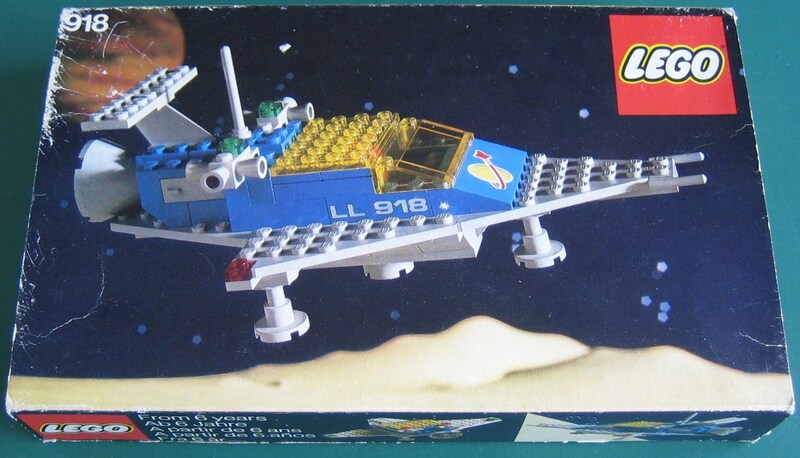 What model I’d love to find (or digitally build myself) is the best Lego Space set I ever owned. 6970 – Beta 1 Command Base. 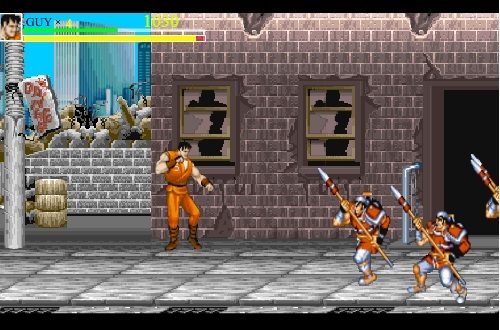 Back to gaming and this weeks lunch time gaming has been an online version of a classic…with an unexpected twist. 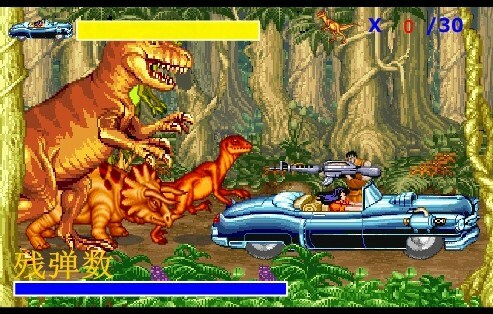 You only get to play as Guy, but who cares, it’s Final Fight and you get to smack Mad Gear and his gang around online. Right here we g….wait a minute, you lot aren’t familiar, are you new recruits? I was expecting the odd metal pipe or sword to use as a weapon but look what I found!…this is embarrassing, I’m a hardened Street Fighter! Aha, the golden doors, time to fight Thrasher…..wait one gawdamn minute, what’s going on here? What are you doing here Ken…oh you do do you, well bring it on then. Hmm, this is not a part of Metro City that I know…someone forgot to mow everything? Eek, mini raptor and I’m pretty sure that not Roxy or Two-P that’s sneaking up on me. It’s a strange game all right, cool, but bizarre. They should call it Final Street Fight Cadillacs and Dungeons. Happy Gaming….and and btw, Albatross is one cool name. I’m having an impromptu afternoon off working this afternoon – yesterday, our central heating boiler decided not to central heat anymore and wasn’t expecting a to be able to find an available heating engineer so soon considering last weekends rapid drop in temperatures and the huge dumping of snow we’ve had these past few days. Any-ho, he’s on his way so whilst I wait for him I thought I’d catch up with my blog posts as free time has been a bit elusive these past few weeks. Here’s a selection of games that’s been keeping me entertained this week (and the last week too as I didn’t get chance to post then either). It’s no secret, I do love a good dose of Pinball, be it on a real table or in digital format and there are many digital tables out there which, unbound from any restrictions of a physical table often contain many weird and wonderful designs and features. One such digital pinball game, really takes this to the max. 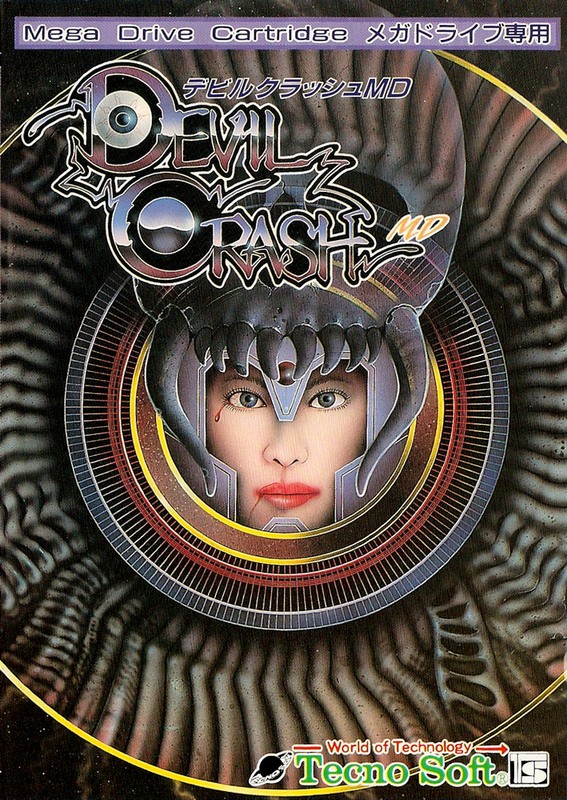 Devil Crash (Devil Crush) Sega Megadrive (1990). Devils crash expands the pinball experience by presenting the main game table in multiple parts. The initial table is split into three sections, each with their own set of goals, bonuses and objectives to shoot for and expands on these by adding even more sub tables, again with there own set of goals. 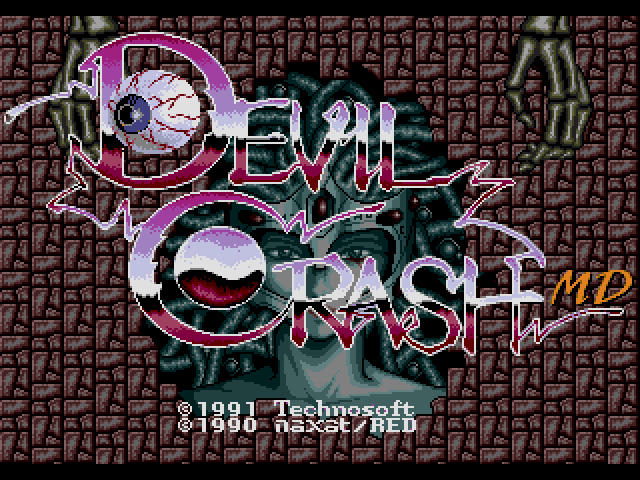 I haven’t managed to visit them all yet, but at the last count, playing Devils Crash is like playing on a pinball table which spans over eight tables. I’ve only ever seen the PC Engine version running but never played it myself so was hoping that the Megadrive port going to be as good. Visual, it certainly looks fantastic and although I’m not a horror fan, am loving the Gothic/Splatterhouse/Doom-esq/Gieger/Demonic <insert red stuff> look to the entire table. The sound effects perfectly match the table too with plenty of cliché ghoulish laughing, screams and howls – The background music I find, can be a bit repetitive so i’d decided that anything by Metallica was perfectly suited. Here’s the bottom of the table, lose the ball here and it’s game over my friend. 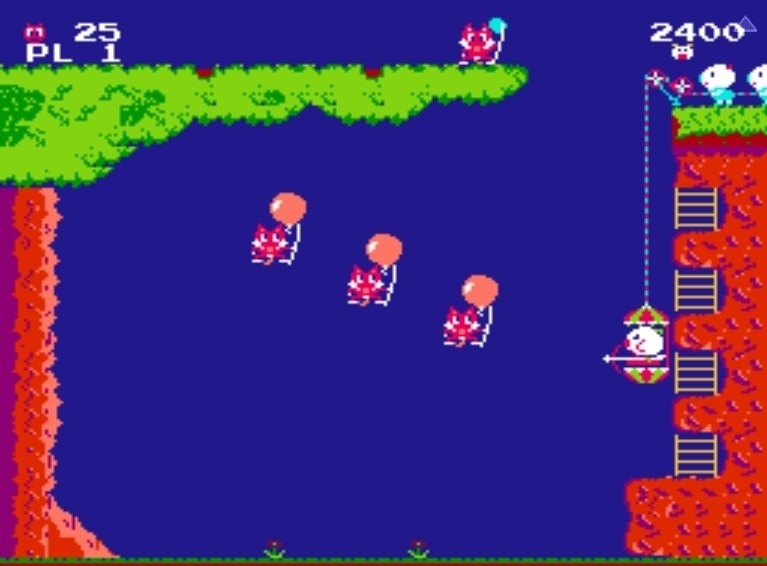 Aim for the centre castle to help you seal up the gap between your flippers and/or plant the ball into ‘boney’ mouth on the right. One of the amazing looking sub-tables. 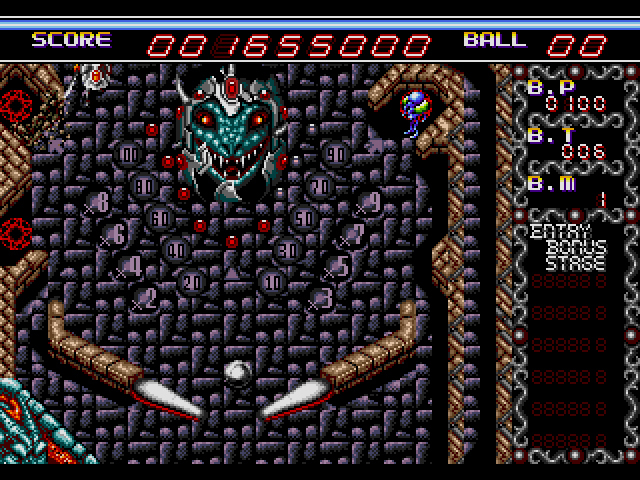 But all that goodness would be wasted if the ball physics and framerate turned out to be a bit iffy and thankfully, Devils Crash on the Megadrive doesn’t suffer with any of this. A great pinball game well worth checking out you ever get the chance. 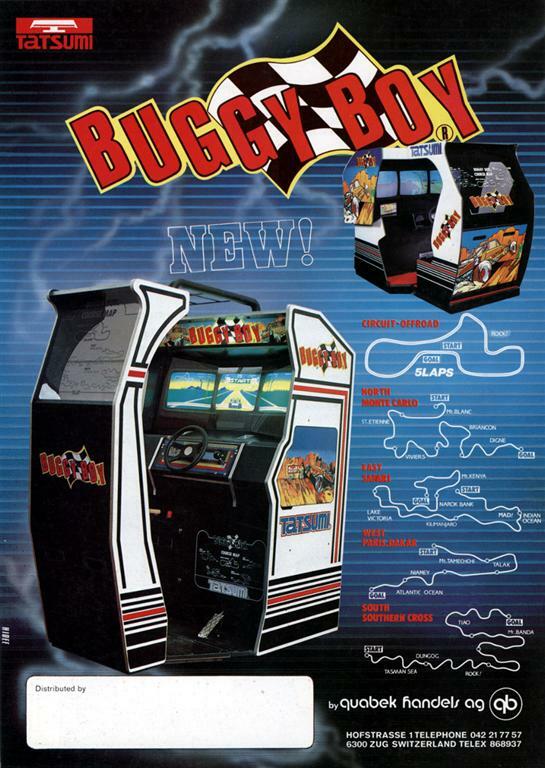 The first time I played Buggy Boy in the arcades was at Smiths arcade on the East coast. They had the huge triple screen monster of a cabinet version (although not the largest according to KLOV) and I remember it had red rope netting added to the rear window and sides to enhance that offroad buggy experience. I’m not sure if this was added by the arcade operator themselves as I can’t find any reference to it being on as standard but it’s something that has always stuck in my mind. Funny how all the little obscure little details often do. You all know the game so I won’t go into it, but if like myself and its been a while, I hope these will also serve as a reminder to do so again soon. 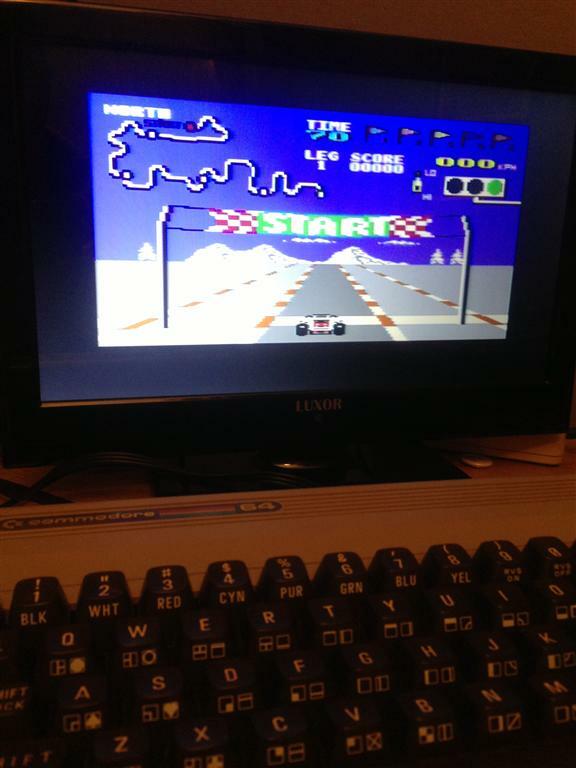 It might not have the large vehicle graphics of the arcade original but of all the home ports, surely the C64 conversion has got to be one of the best Buggy Boy experiences – especially the speed when comparing it to other home ports. 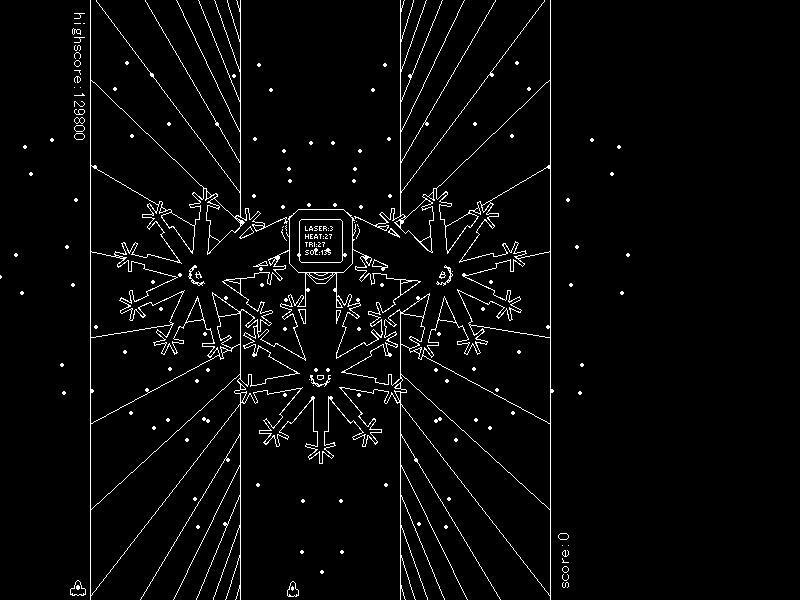 I’ve always like the look of the the ZX spectrum version too, especially the visuals which despite the lack of colour are pretty darn close to the arcade original. However, it runs incredibly slow and the camera angle is way to low, your Buggy blocks you view. It’s a shame as this could really have been something special. I occasionally play the Amiga version and a friend of mine recommended the Atari ST version so that’s added to the play list for another day. I had no idea this game existed until receiving a response Youtube video featuring an arcade gaming convention From the 3 or 4 seconds of game footage I thought, woo that looks cool, in a sorta Salamander-organic way. Little did I know that it was actual a sequel. I’ve not really got far into the game yet but so far am looking the levels and bosses. 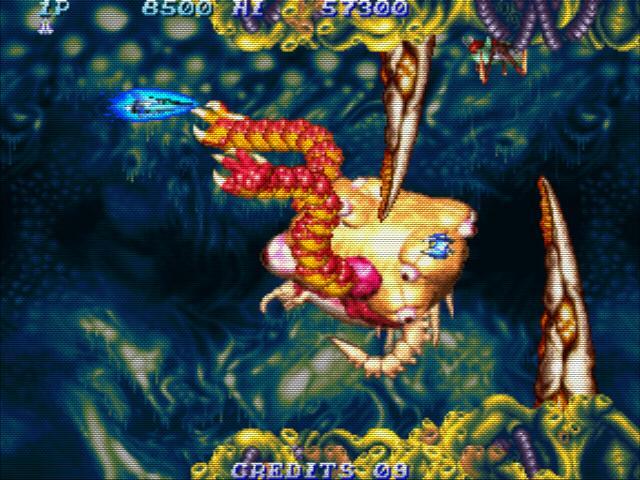 Sure, apart from a huge graphical update there’s that much extra going on here but that’s not necessarily a bad thing, just more of that Salamander/Gradius goodness. I’ve also been playing a handful of classic vector based arcade games using an emulator that’s designed to accurately reproduce a little bit better than say with MAME. 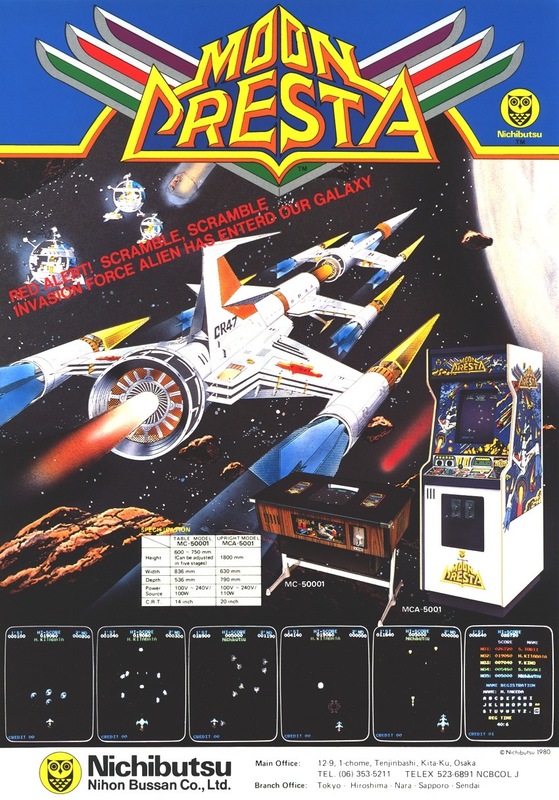 Games like Asteroids, Rip off, Tempest, Gravitar and Lunar Lander. 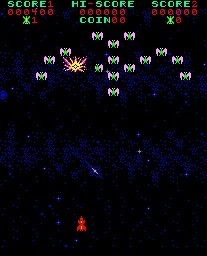 Play Asteroids in Mame and then on AAE and you’ll instantly notice the difference. You need a fairly beefy PC to run some of the games though and some seem to run better than others despite having less objects on screen. Initially I tried tried to run Omega Race on my Netbook and it just groaned and stuttered at 1 – 2 fps but on my main desktop things ran much better and am now toying with the idea of adding this emulator to my own arcade/Mame cabinet (yes I will finish it one day!). AAE adds lots of new graphics options to closely present what the original arcade machines/monitors produced so for example, you can set screen burn, vector phosphor glow levels, motion blur and light trail length as well as all manner of tweakable controls to suit your preferences. 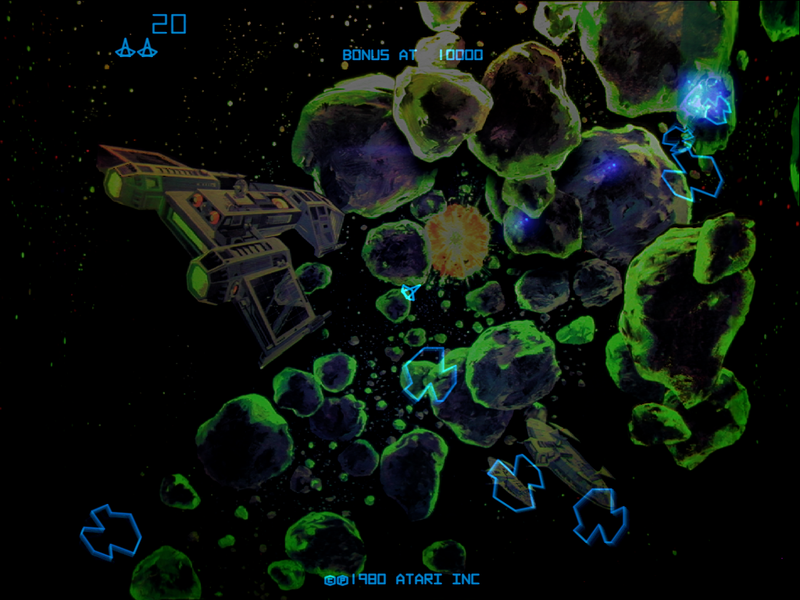 Arcade bezel and overlay art is supported in AAE too and worth tracking down to complete the illusion. 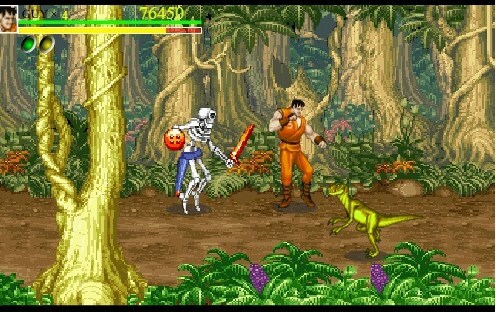 You’ll also need to hunt down the rom images as these are not included in the download. Out of the box I couldn’t get AAE to work correctly with my Mame set and on closer inspection of the error/log file that’s produced after running a game, it appears that my roms are named incorrectly – or that they are correct but the AAE uses a different naming convention? – for example, AAE might call for a rom image called 30210.01 but my image was called 30210-01.fr. Concidering that each game might contain a collection of anything between 6 – 40 rom images, that’s alot of file renaming you might need to do – not including the additional game revisions and prototypes. It’s a bit of a chore but , the emulator is so good I think the reward is so worth the input. AAE was last updated in 2008 with little advancements after that, but there still appears to be a thriving forum community that should be able to answer any questions you might have. 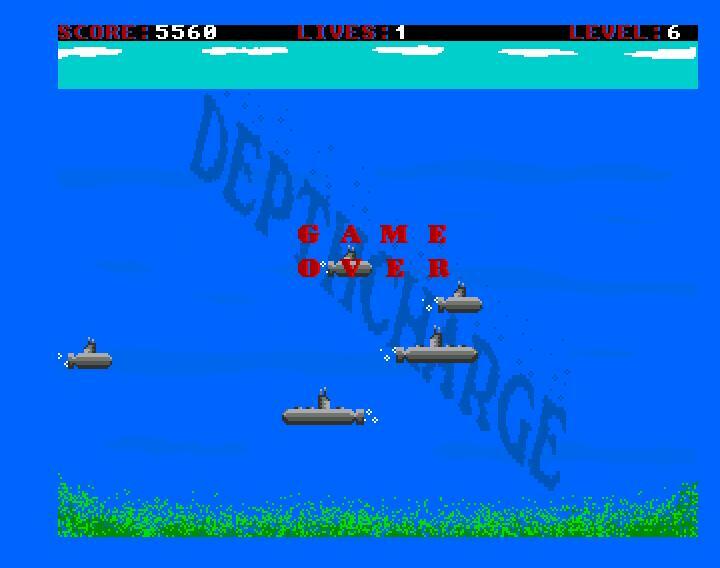 Lunch time web/flash gaming has mainly collection classics like Frogger and Space Invaders and one i’ve been playing quite a bit of is yet again, another Depth Charge port. 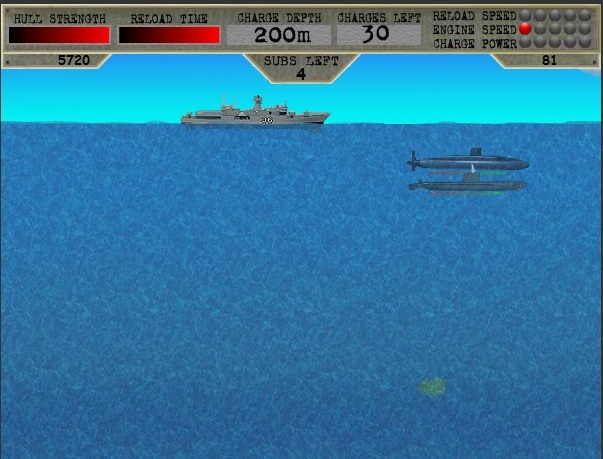 The same classic mechanics of the arcade original are here – bomb the subs within a set time and avoid the torpedoes. However, this flash version differs somewhat by adding the ability to set the depth of you charge. So not only have you got to get the timing right, you also need to figure out the correct depth too…and don’t think those sub driver will stay at the same depth too…the dirty little rotters! This version has upgrades too allowing you to outfit your warship with faster engines, increased reloading times and armour plating. Able Seaman Stiggy at your service Cappy…..is it lunchtime yet? My top tip, try to upgrade your ships speed first as without that you won’t be able to react quick enough to sink the subs or avoid incoming fire. 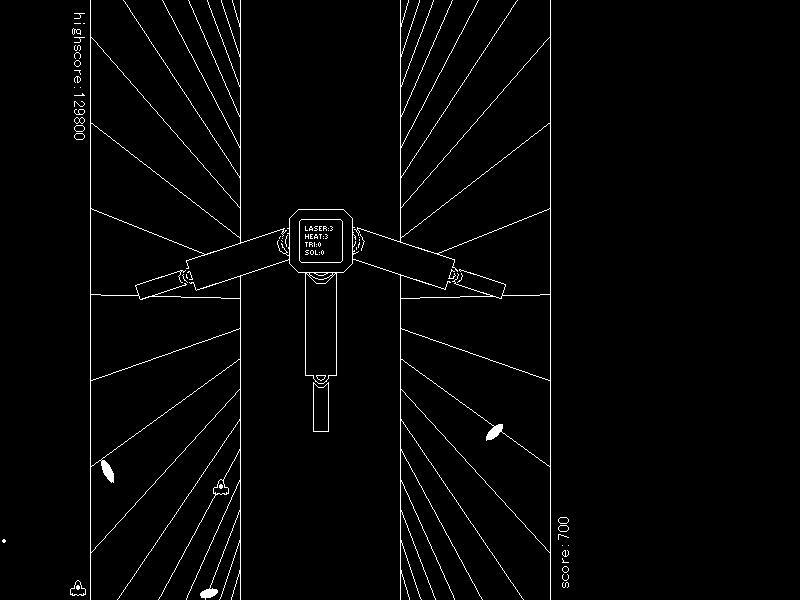 Quick and fun games are the order of this week as the continuation of a rather hefty I.T. project at work has left me with very little downtime again. Thankfully, we can see light at the end of the tunnel (or is that tunnel vision due to lack of sleep?) and I can get stuck into something a little more involving soon as I’ve been promising myself a return to either the land of Midwinter or the seas of Carrier Command. First up on the list is a some vintage fun and a very early title by Mr ‘Yak’, Jeff Minter. Over the past few years, I’ve become quite fond of Uncle Clive’s little black box and it’s game library which still provide snippets of fun despite it’s meager hardware limitations (and even more fun when you throw in a ZXpand unit). 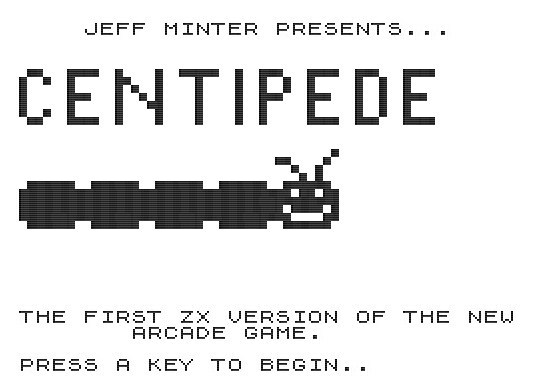 Centipede might not look much and missing a few things from the arcade original but that doesn’t stop it from being a damn fun retro game as you aim even higher to best your own and your mates highscore. Choose from 20 speed settings (20 being the slowest and 1 being well, quite frankly, insane!) and select 1-5 lives. 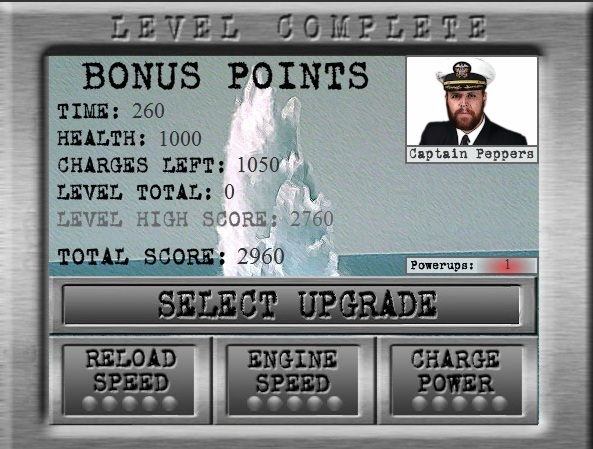 Personally I’ve been starting on speed 20 with one life and after clearing each stage, the game speed increases. Make it past Wave 3 and OOOOOOOO starts firing “.” fullstops at you….very unsportsmanlike of him too! 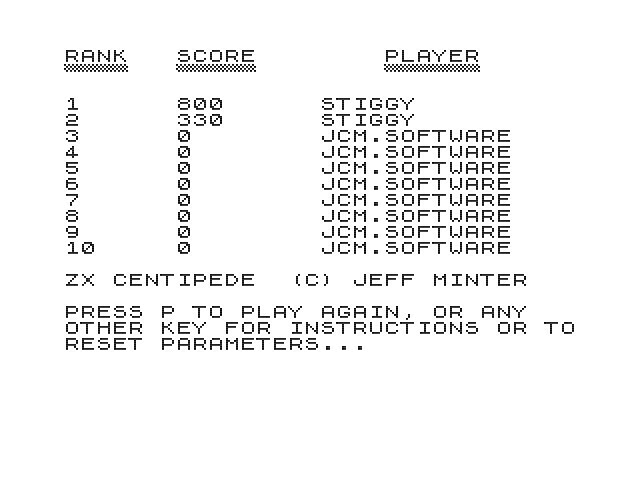 Yay, I beat Jeff’s highscore!…oh wait….dammit. 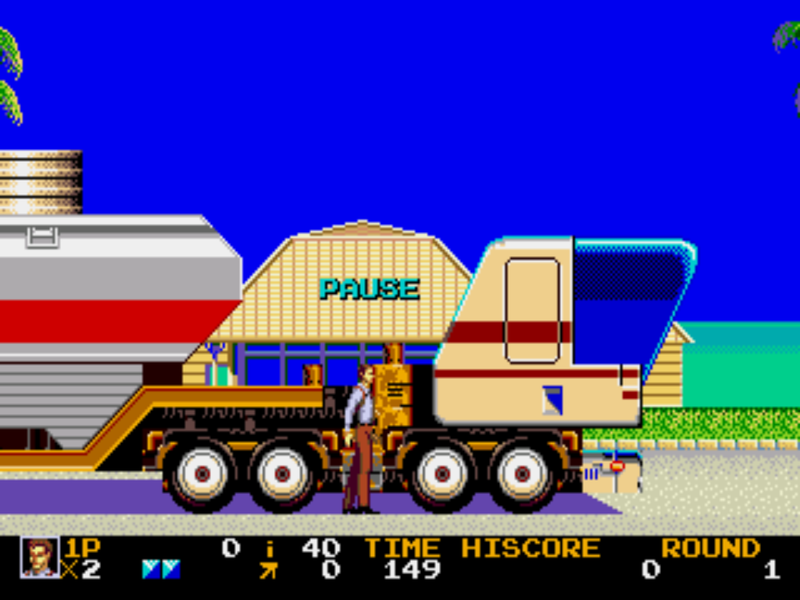 The next two games I’ve been playing an awful lot of this week are a couple of PD releases on the Commodore Amiga. 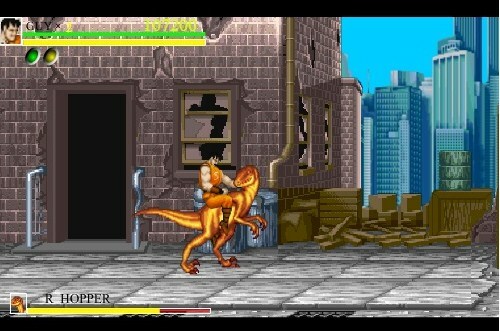 First up, we have a remake of one of my favourite arcade games. 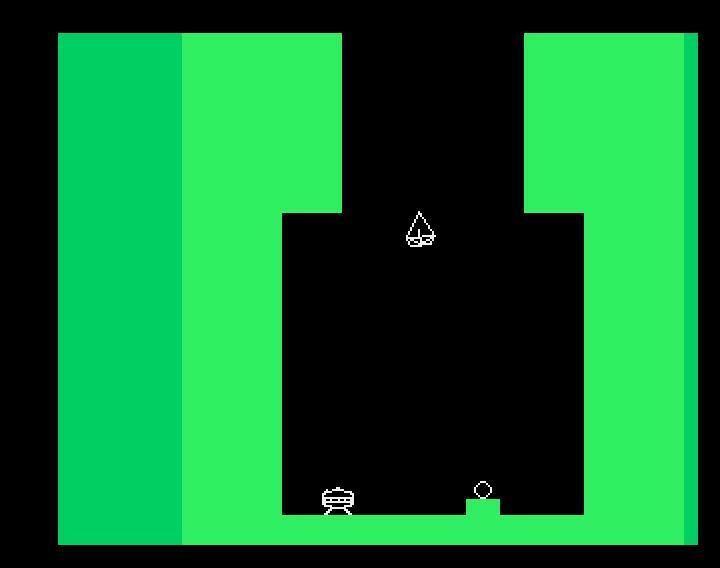 This is a cracking remake of the 1977 game by Gremlin. Apart from the upgraded graphics (in colour too..woooo! ), it’s pretty much on par with the original (bottom left). 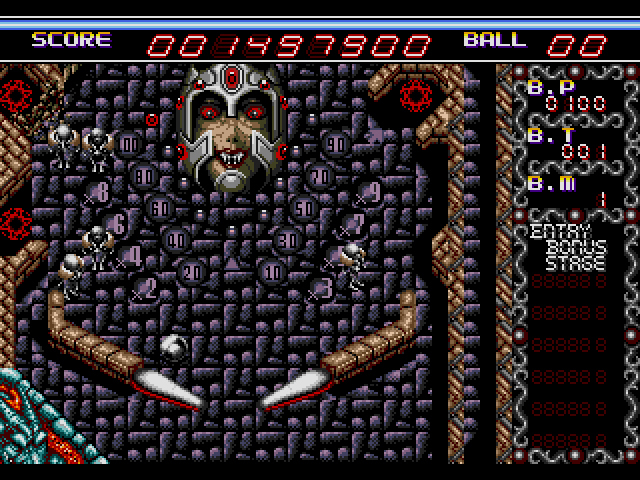 The key difference with the Amiga version is the overall speed in which the game plays. Those subs dash around underwater a hefty odd rate of knotts whilst releasing a barrage of mines and torpedoes to the surface. 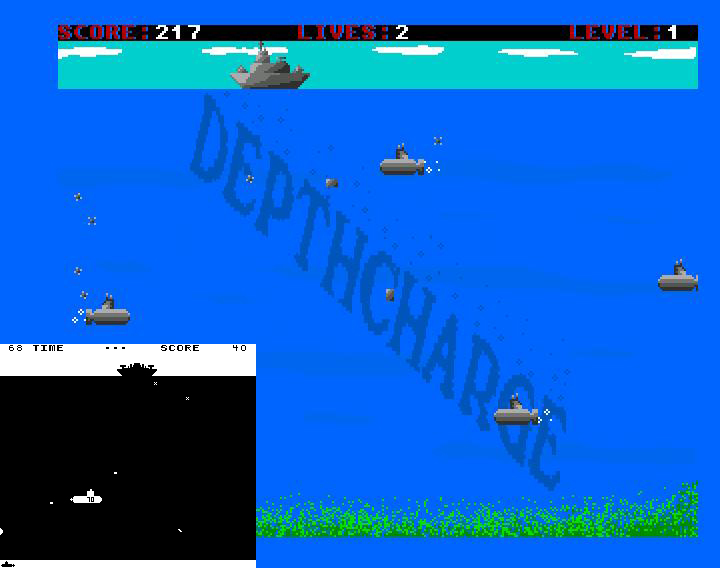 The original arcade game had a much slower pace and required accurately timed release of your depth charges. 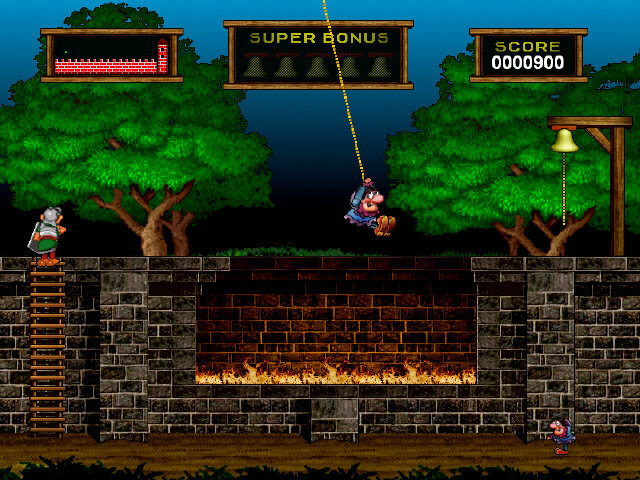 I think I still prefer the original, but this Amiga version is still great fun and the lack of timer means you can blast away until you get hit. I’m loving the chunky retro look to Fleuch and it plays just as well as most other Thrust clones. Key layout is just perfect. Incoming from those gun turrets can often be accurate and relentless which certainly makes for one exciting gravity game. Do I sneak down and collect the orb ASAP or take out the gun first? There’s not much room down here to do either! Steady as she goes. Moving around in the tunnels can be a bit tricky, and things get even trickier once you’re towing the orb. Simple yet fun. 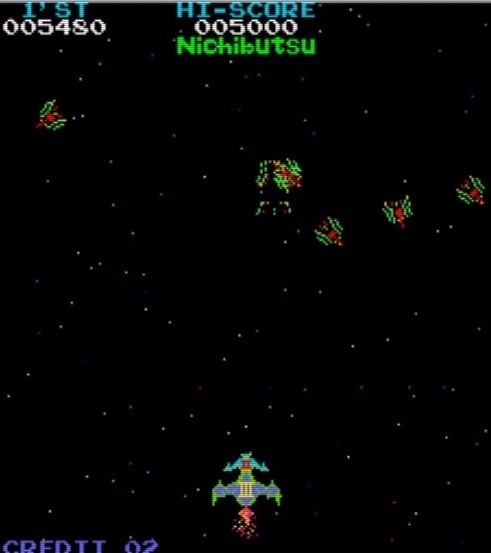 Move auto firing Death (you) around the screen and destroy the invading Monstars. Holding down the left mouse button will lock your gun position to so you can strafe the suckers if things get a little hot. Pick up the coins and stars left behind as you’ll need these later. Each kill increases a meter at the bottom of the screen. Once full, double click the left button to release a smart bomb. Handy when things get even hotter. Alternatively, if you’re getting pummelled and find yourself in bullet hell, press and hold the space bar which will activate a Matrix style slow-mo bullet time. Very handy for getting oneself out of a jam and outflanking Neo style. After killing the required number of Monstars (countdown at the top left), you finally get to spend all that lovely dosh on upgrades. You’re going to need them! Week no.3 and a little bit more time for some gaming fun this week. Last weekend I was hunting around in my game library to find a Sega Dreamcast game I’d offered to lend a friend (Shenmue) and whist I was doing that I came across a a couple of PC games I’ve haven’t played in ages. Being quite old now and released around the 98-2002 I thought I’d see how they’d fair on my Netbook*. Of all the yearly EA Sports game franchises that I immediately took to, it was the NHL Ice Hockey series of games. I’d played the cartoon-ish versions of early releases on the Snes and Megadrive but it wasn’t until a (Ice Hockey playing) friend of mine introduced me to NHL 99 on the PC did I really get into it and it’s real life sport in a big way. The first part of the slow-mo intro to NHL 99 with it’s David Bowie track mixed game commentary still gives me goosebumps when i see it and the second part with it’s hard hitting heavy rock fueled track really gets you fired up. Great saaaaaaaaave Joooooseph! NHL 99 was also a game that could take advantage of those new fangled 3D accelerated cards that were starting to become popular with PC gamers back then. 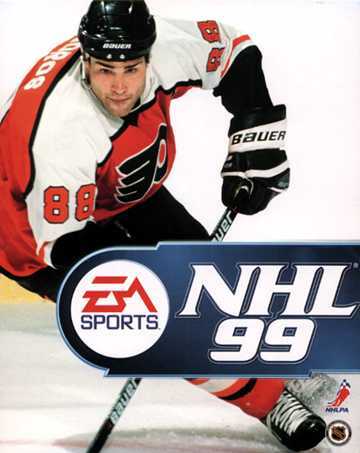 Up until then, games like this would either looked jagged and/or ran at a snails pace but with a 3DFX card in my PC, NHL 99 looked stunning with it’s a new shiney ice rink with reflected lighting, fluid moving players that had mapped faces to match those of their real life counterparts such as Koivu, Hassic, Lindros, Gretsky, Shennahan, Forsberg and on and on. Audio was vastly improved including real life play by play commentary by Jim Hughson and other esteemed commentators , ice rink announcements, audio ditties between plays and the playing of the US and Canadian national anthems all helped to provide the perfect atmosphere not seen on any sports games (apart from soccer) that I’d witnessed before. As with all EA sports games, each year saw a new game in the series, sometimes with huge improvements and sometimes it seemed like the same game churned out with minor differences. I brought each copy of the NHL games up until around 2007 when they dicked around with the control set so much I lost interest. 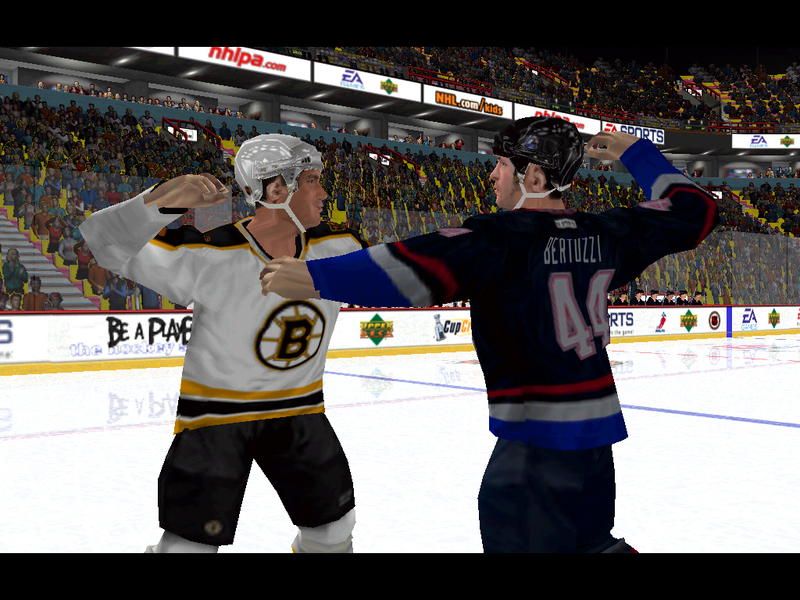 These days and for a fun game, my favourite has to be NHL 2002. It looks fantastic, plays fantastic and is still heartily supported by the huge modding community that sprung up around these great games. Want real real centre ice and Ad boards?, how about Bauer, Easton or CCN skates and equipment? or how about full team mods and helmet skins to match those of you favourite goalie? There are also a great many new features introduced in this release including emotion meter (players get a boost when you you’re on the up, perform a big hit, score shorthanded etc or decline in performance if you’re on the downside). There’s also hero moments when the camera zooms, everything goes bullet-type-esq as you break away to a 1 on 1 showdown with the goalie. 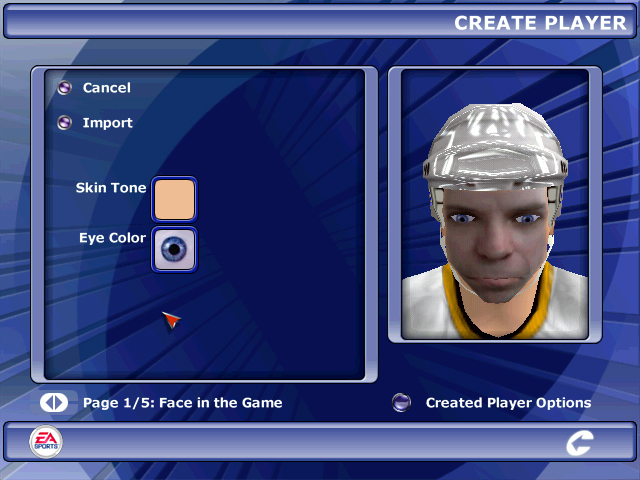 NHL 2002 also includes the feature to use a digital picture of yourself to create a player of your own which can be added to any team. Yup that’s me, although looking slightly alien as I’m not sure why it’s placed my eyes about a foot apart and my nose looking like it’s been squashed. But who care, I get to join the might Bruins! Not a great idea to square up against Todd Bertuzzi. I fear a 5 minute penalty isn’t going to be enough to get over this pounding! 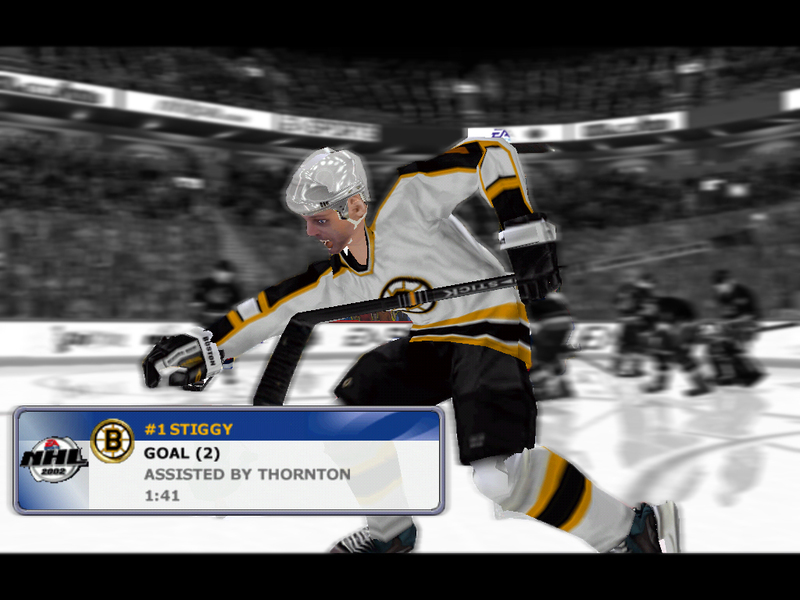 StiGGy takes the to the ice and whips one in…the crowd goes wild and thanks to the audio importer my victory dance is played out to a section of Welcome to the Jungle by Guns and Roses. Rock on! Thanks y’all, I’ll be here all season. Next up is an Atari 2600 game I picked up as part of a small cartridge bundle I won eBay a few weeks ago. 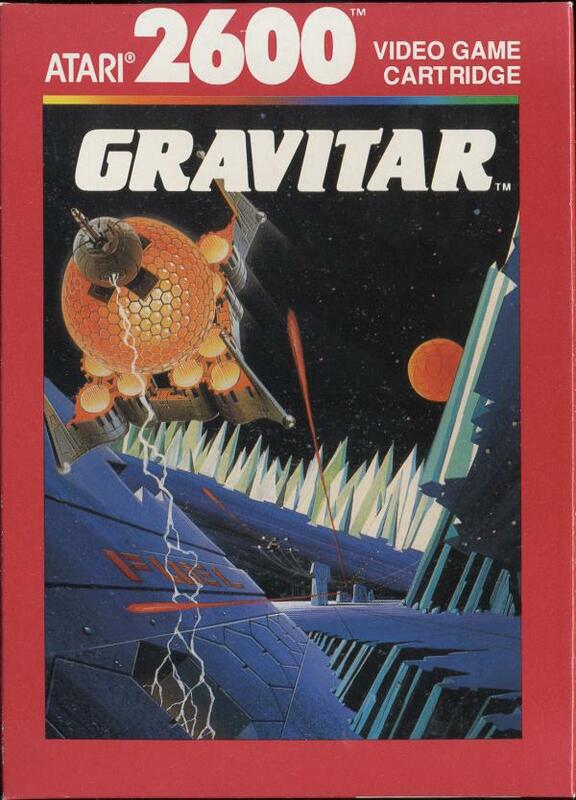 Gravitar bombards unsuspecting galaxies with his hostile gravitational forces. He then installs a powerful reactor within each solar system of the defeated galaxy, creating a killer sun that destroys all life on the surrounding planets. He blockades those planets with lethal rammers and automated bunkers programmed to shoot. 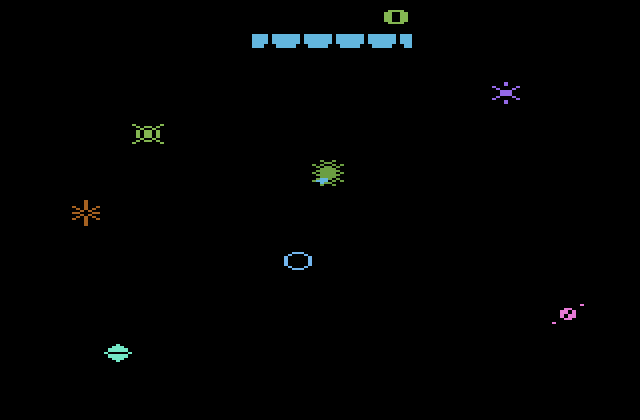 Gravitar is such a cool gravity based shooter and quite the challenge on the Atari 2600. Unlike it’s arcade counterpart, you don’t have a precise multi button control panel to help you out. 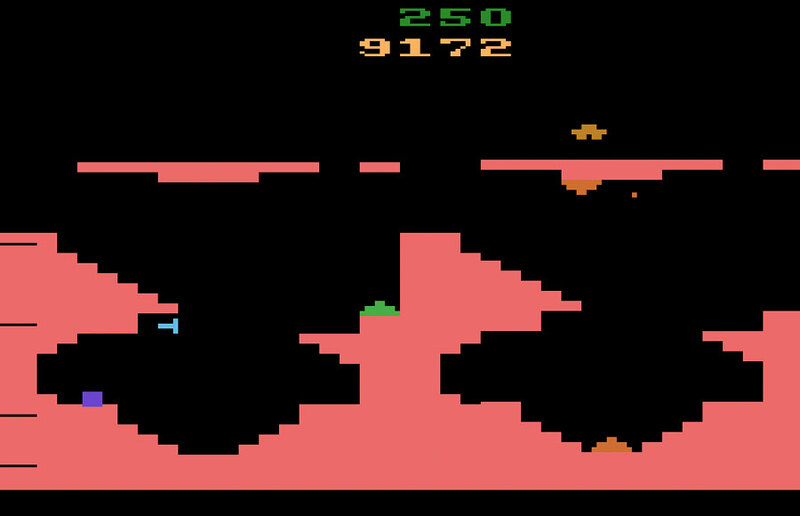 With the single Atari joystick, for example when collecting the fuel pods, you have to precisely juggle between pressing up and down on the joystick to get them without crashing into the terrain. 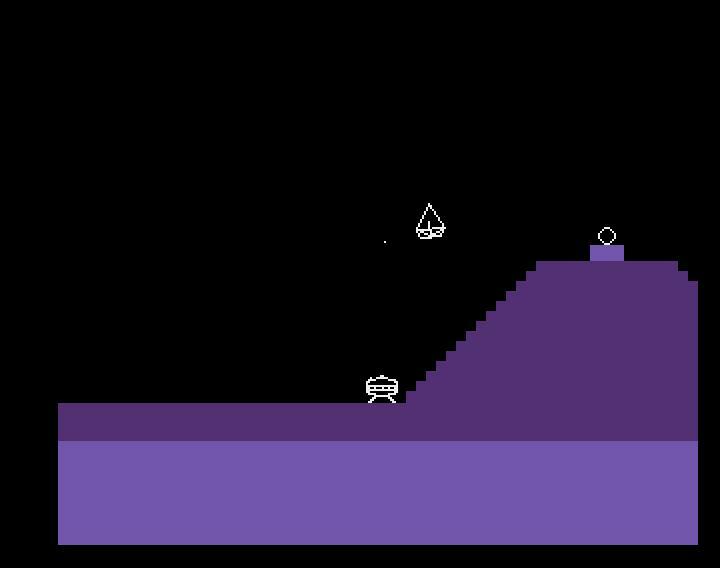 Fans of Thrust, Oids and Lunar Lander will absolutely love this game…but I’m guessing as fans of those particular games, you’ve already played Gravitar! 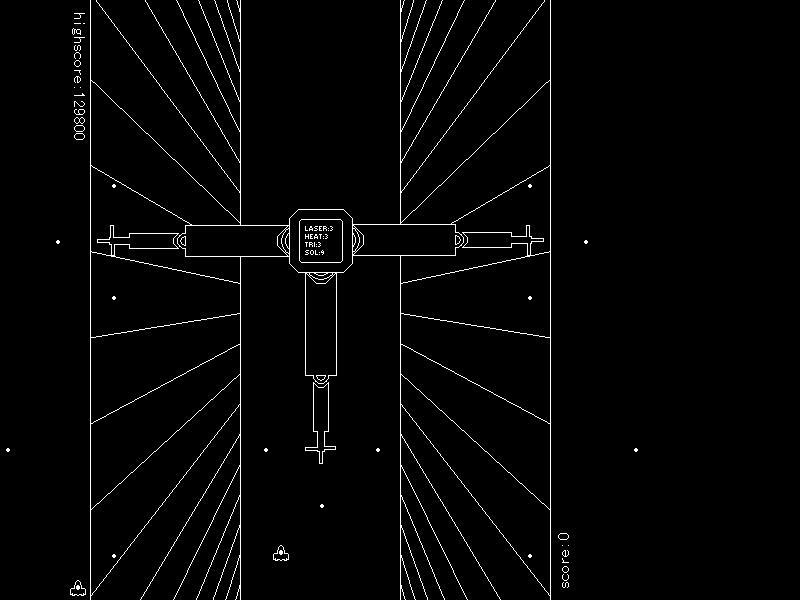 The arcade version might contain those cool looking Star Wars vector graphics unlike chunky stuff on the Woody but forget about that minor detail, it’s plays just as good as it’s big brother so give it a whirl, I don’t think you’ll be disappointed. That blue thing that looks like a horizontal ‘T’, that’s you that it. Shoot everything else apart from that blue square which is a fuel pod you need to collect. Yep, you’re going to have to use your imagination a bit with these visuals! Select a planet or take on the invading ships to earn a few extra points…but whatever you do, fight the gravity and don’t fly into the sun…d’oh! This last game is just truly epic and has taken up so much of my free game time this week. 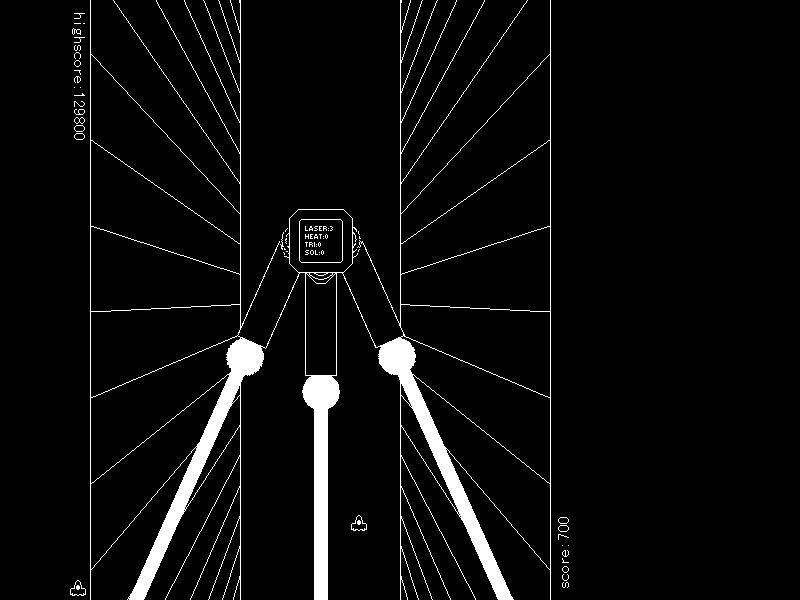 No it’s not a new Vectrex homebrew game…although that would be awesomenessly-awesome, nope this is classic black and white schmup game by Jonatan Soderstrom. 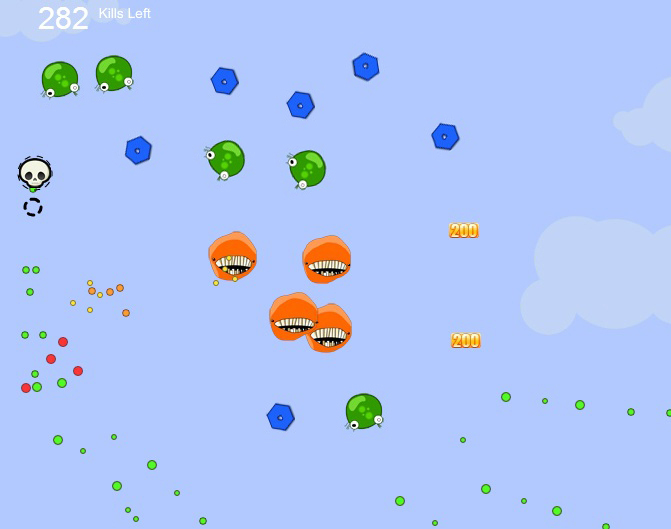 The game is simple, steer your little craft around and shoot the guns turrets off the randomly generated mother bucket of a ship that wants all your bases. Two games modes are on offer – Normal mode will start the game off nice and simple and will get harder as you destroy each mother ship. Random mode sticks you right in the deep end and it’s here that I’ve been spending most of my time trying to beat my previous score (using a one ship rule). ..but first, here’s the start of level 1. 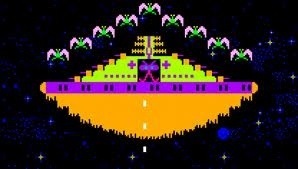 Start blasting off the outer turrets with your guns (Z key) whist avoiding incoming fire (Cursor Keys). Note the foot tappin chip tune. With that done, you can move onto the next set of turrets which shoot out a stream of machine gun fire. You have two other weapons that you may wish to use here. 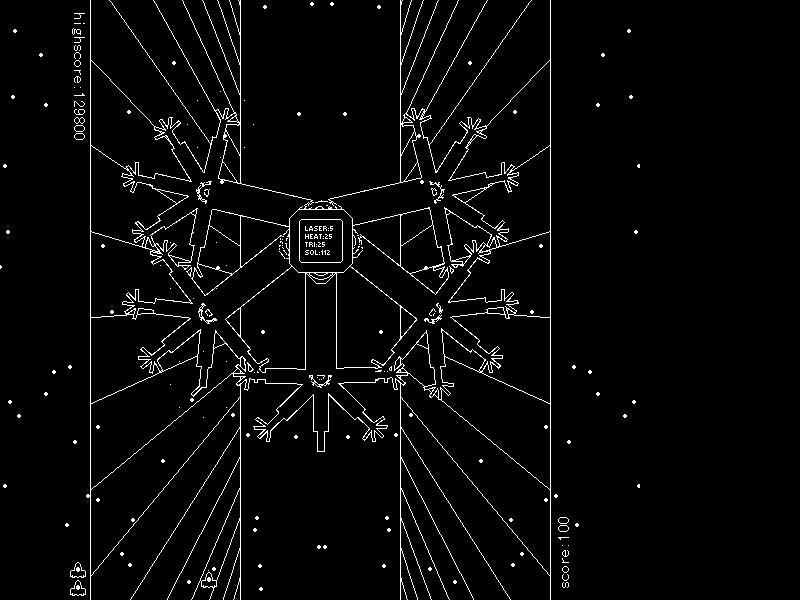 A laser beam (X key) which is under powered but great for hitting turrets that may be hidden from view or blocked by another part of the ship where your guns cannot reach them and the third weapon is a set of missiles (C Key) that you have to manually aim with the cursors. The mothership get angry with this next set of defensive weaponry as they hone in on your position and can be a little tricky later on when you’re up against a whole barrage of them. Get in there fast ,duck and shoot the crap out of them. The final guns are these huge firing plasma beams. They’re pretty easy to pick off until they start moving around on later levels! 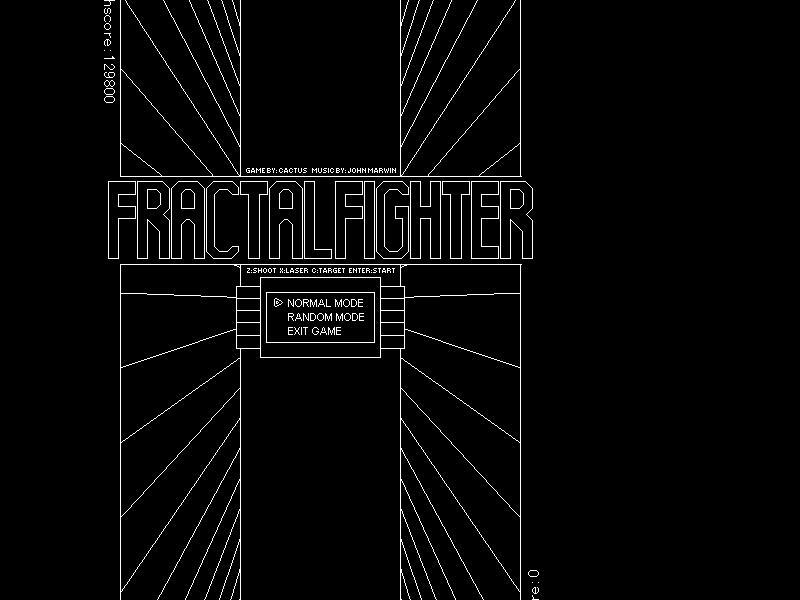 Now that you’ve had a bit of practise, try out that awesome random mode.